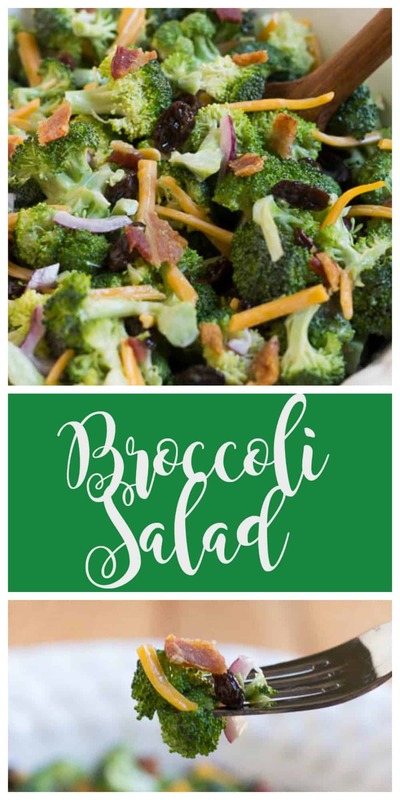 The girl’s from No Place Like Home are sharing some of our favorite dishes to serve at a cookout, and I am sharing this delicious Broccoli Salad recipe. 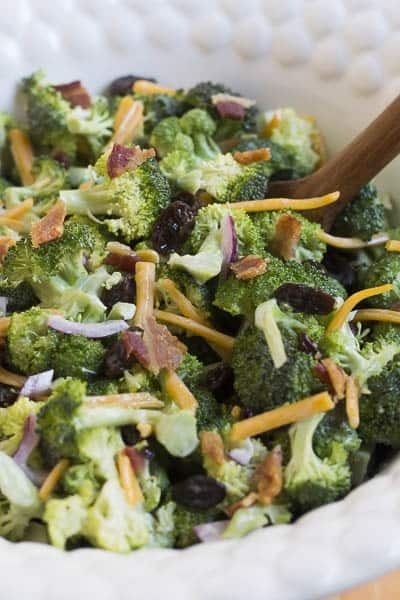 When I am planning the side dishes to serve at my cookout, I try to serve something green and this broccoli salad is perfect. The other girl’s recipes are at the bottom of this post. I love to have friends and family over to my house to eat and to spend time together. My favorite time of year is when it is warm enough to cook outside and to eat outside. I like to prepare all the side dishes ahead of time so that I can sit outside while we cook out and hang out with everyone. I do not want to be in the kitchen cooking while everyone is outside without me. The great thing about this salad is that it needs to be prepared beforehand. The broccoli needs to marinate in the dressing for a couple of hours so that it can soak up all the deliciousness. I will prepare this salad the morning that I am having a cookout. One thing that I learned in Culinary School that makes entertaining easier is to prep what you can the day before. For example, the day before the cookout, I chopped the broccoli and the onions and placed the cut veggies in plastic baggies. I also cooked and crumbled the bacon the day before. Prepping and chopping the day before makes entertaining a lot less stressful. 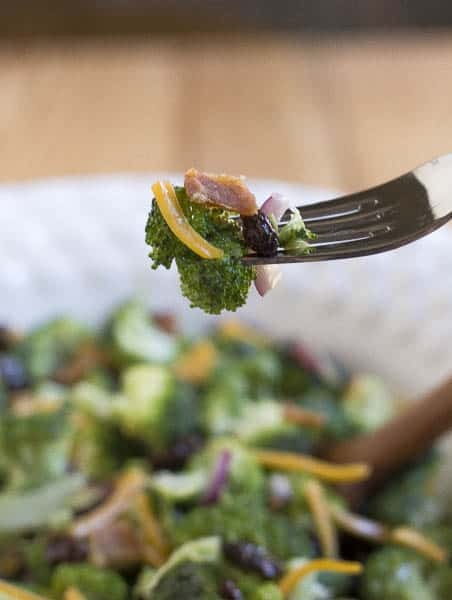 This broccoli salad is quick to prepare, and it is a delicious side dish to go along with whatever you have on the grill. Lynn from Nourish and Nestle shows us how to make the best hamburgers. Carol from The Red Painted Cottage is sharing her grilled pork chop recipe and they look delicious. Robin from A Home to Grow Old in is sharing her Ultra Thin Crust Pizza Recipe and this is my favorite thing to grill. Have a great cook out! 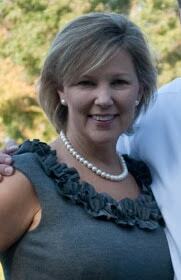 Sherry, this broccoli salad looks really great! I have a different one I love, but I’m always looking for new recipes to try that looks delicious! 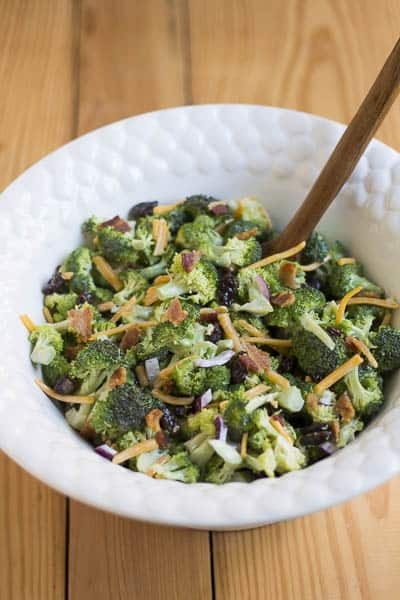 Broccoli salad is one of my summertime favorites. This looks so very yummy.